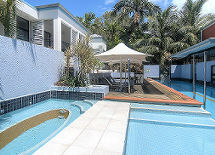 all that this tropical region of Australia has to offer. Reef tours depart from the Marina which is just a short stroll away. For other Tours and activities most operators will pick up from The Pavilions. No need for a hire car. Just Some Of The Choices . 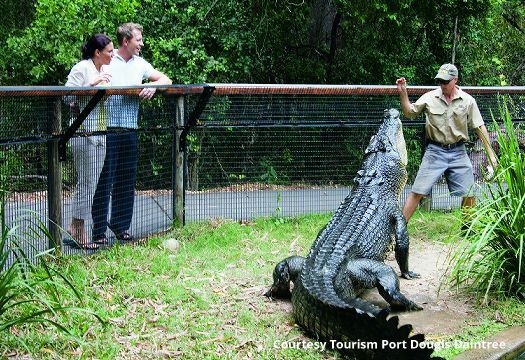 . .
A visit with crocodiles up close is always a "must do"
Take an Outback Day Tour to learn about Australia's History, Mining, Stunning Outback Landscapes and more . . . There Are Many Other Tours & Activities . . . The Pavilions has its own Tour Desk. Based on our years of experience we advise tours only for our client specific needs and wants. There is no charge for this service and the rate is the same if you had booked direct with the tour operator, however you get the benefit of our unbiased advise. Pre-booking tours does take the stress out of your holiday and during Peak Season it is very advisable to pre-book especially for reef and rainforest tours and activities. 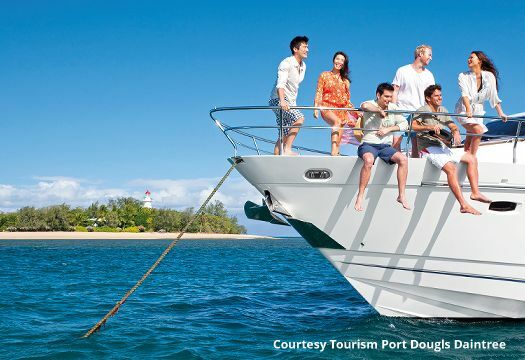 Weather changes can be accommodated by changing the date of your tour - most immediate would be reef tours.